My Heart Will Go On was written by James Horner (music), and Will Jennings (lyrics). Music: E Major in 4/4 time at 99 bpm with key change to Ab major. Chords in C & E Major: C, Csus4, C/G, C#m, E, E/B, Eadd9, E7/D, Em, F, Fsus2, G, Gsus4, Gsus4/D, Gadd9, G#m7, A, A/E, Am, Am7, B, B/E, Bsus4. Born: Céline Marie Claudette Dion on 30th March, 1968 in Charlemagne, Quebec, Canada. My Heart Will Go On Sheet Music at MusicaNeo.Com - Piano/Vocal/Chords - E Major - 6 pages. 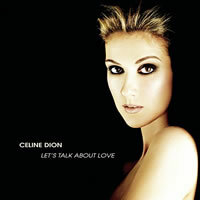 CELINE DION chords and lyrics are property and copyright of their owners. "My Heart Will Go On" chords and lyrics are provided for educational purposes and personal use only.